Research has confirmed what Dr Montessori observed over a hundred years ago: that children learn best when they have the freedom to move, to explore and to manipulate. The Montessori prepared environment provides the framework within which children can access a wide range of materials designed to respond to their needs while offering them the opportunity to learn at their own pace. Another important aspect of Montessori principles is that of respect. The social interactions that the children engage in during their sessions are based on respect for others, and for their environment. 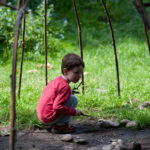 A Montessori environment at its best is a community where children display highly- developed social skills as well as high levels of concentration and independence; there is a balance between children’s individual freedom and the needs of others, that is, children show respect for the environment and for others. They have the language to express their feelings, to ask for help when they need it; they have the tools and the opportunity to resolve disputes and to make their needs known. 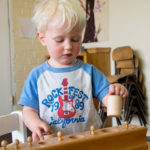 Furthermore, a Montessori environment aids the development of independence, concentration, perseverance, self-motivation and social and problem -solving skills, all of which are useful tools for life. 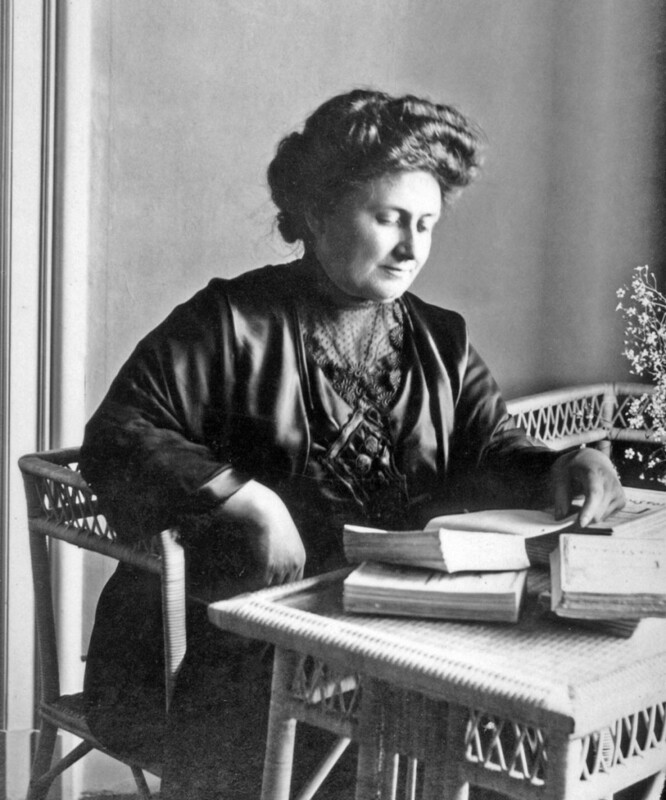 Maria Montessori herself referred to her philosophy and principles as an ‘Education for Life’. This process takes time, and is aided by the work that the children carry out with the materials in the classroom, as well as by the example that the directresses and the older children provide for them. 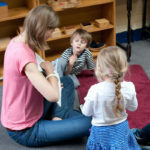 The term ‘directress’ or ‘guide’ is used in Montessori to reflect the role of the adult, who, rather than ‘teaching’, provides guidance and acts as a ‘link’ between the child and the materials. 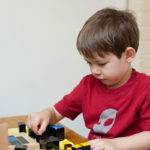 Through observation, the Montessori directress offers materials that respond to the child’s interests and needs at the time, but once children are shown how to use a particular material, they are allowed to explore for as long as they wish, and to make their own discoveries. 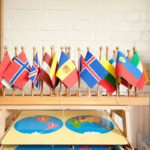 Whilst the focus in the Infant Community is on free movement and the development of spoken language, in the Children’s House the Montessori curriculum consists of Practical Life (Foundations for Learning), Sensorial activities (Skills for Learning), Language (Communication Skills), Mathematics (Number Concepts), and Culture (Exploration of the Wider World). Furthermore, a great emphasis is placed on the development of social skills which enable the children to interact with others in a positive and constructive way.